Managing multiple vendor platforms across multiple sites is tedious. Each interface is different and requires different expertise for each. DataCore centralizes provisioning, data protection, control and monitoring of distributed storage resources through a single management console. The graphical user interface (GUI) is highly configurable to accommodate individual preferences and includes guided wizards and workflows to simplify administration. All actions available from the GUI may also be scripted with PowerShell Commandlets to orchestrate workflows with other tools and applications. DataCore™ Management Console displaying all node and storage resources in the infrastructure through one pane of glass. DataCore offers deep integration with VMware vSphere and Microsoft Hyper-V, as well as their respective systems management tools, vCenter and System Center. 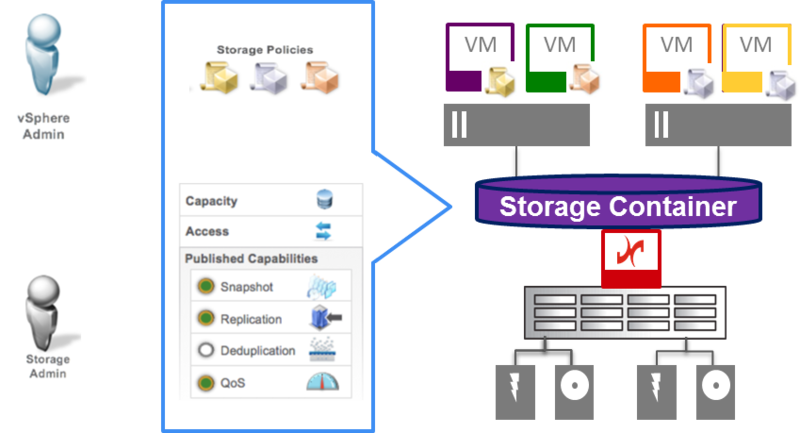 For example, using Virtual Volumes (VVols) defined through DataCore’s VASA provider, VMware administrators can self-provision datastores for virtual machines (VMs) directly from their familiar hypervisor interface. This is possible even for devices in the DataCore pool that don’t natively support VVols and never will. Similar capabilities to choose the capacity and characteristics of DataCore virtual disks (LUNs) are available from System Center Virtual Machine Manager (VMM). Collaboration with enterprise system monitoring tools such as System Center Operations Manager and Flowster dCenter is also supported. Simplifying installation for virtualization administrators, providing universal VVol support and providing storage policy control from vSphere while simplifying the ability to add and scale nodes. The REST interface has been enhanced with over 200 new operation methods to extend configuration and resource management to the configuration monitoring operations already provided by REST. 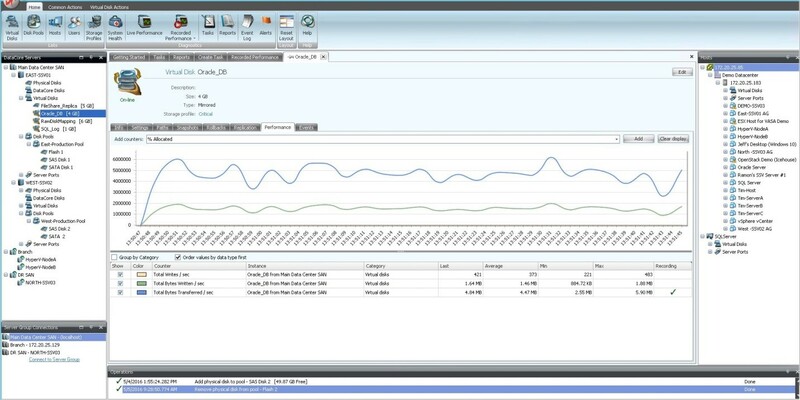 RESTful interfaces are used by products such as Lenovo XClarity, Cisco Embedded Resource Manager, and Dell OpenManage to manage infrastructure in the enterprise. Talk with a storage expert to learn how DataCore can help simplify the management of your data center storage systems.